Compact solution, extensive functionalityWith SafeLOGIC-X, B&R has set a new benchmark in safety technology. Small-scale safety applications now have access to modern, integrated safety solutions. 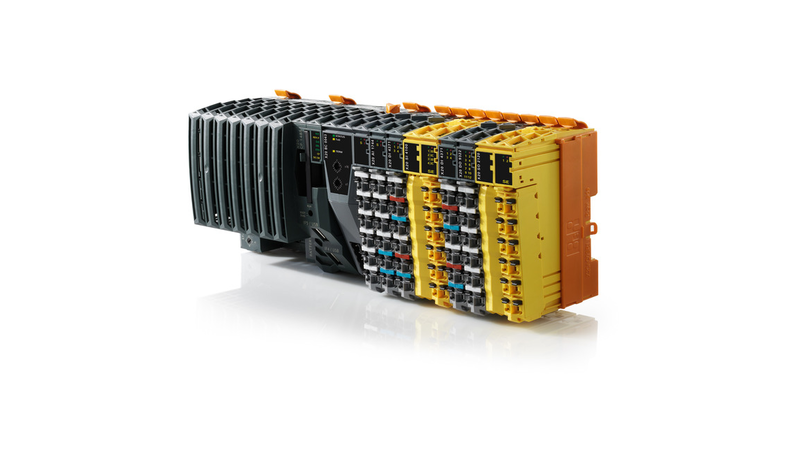 By distributing safety functionality across safe I/O modules, a standard controller and the HMI application, this solution is able to do without a dedicated safety controller. This saves control cabinet space, a further advantage of this solution.